Having worked as a Graphic-Designer, Web-Designer, and Web-Developer I thought I might toss my opinion out there as to what’s what, where’s where, and who’s who. This one is pretty self-explanatory: A graphic designer is a designer of graphics. I wrote a bit about Art vs Design in a previous article. Graphic designers use composition to create graphics which accomplish a task. How does one create graphics that accomplish a task? Using alignment of design-elements, contrast, colours, symbolism the graphic designer engineers a static interface which aims to complete a goal. The goal of a graphic design could be as simple as catching someone’s attention and getting them to put their foot on the brake… or it could aim at making someone thirsty for a delicious, warm, caffeinated beverage. If a graphic designer designs a mock-up of a web-site are they still a graphic-designer and not a web-designer?.. At least when they are designing the website in photoshop, illustrator, gimp, or ms-paint. Good question! We’re missing a link. Graphic-design is an ancestor of web-design… And the missing link between the two is animation. The design-element of movement is key to interactive-design. If a design does not include the potential for movement, or changes in the state of the design it’s static graphic design, rather than interactive web-site design. Not saying that web-designers don’t ever use photoshop to design web-sites… Just that web-design requires more than photoshop. Some real-world examples of graphic-design (both static and interactive) include: street-signs, magazine advertisements, web-site design, and product-design (such as sneakers, cars, or action-figures). Web-design and animation boast the design-element of movement… But let’s not forget that print-design, or design of any material item can deliver tactile, and olfactory stimuli. We’ve established that designing a web-page in photoshop does not a web-designer make. If you missed that part please read the previous section where I explain that. Web designers need to code a little bit, some html & css will do. Web designers should also be familiar with useability (how people interact with a website). Graphic designers have usability concerns too (some cultures reading left to right while other read top to bottom). Accessibility and usability are related yet separate concepts. Usability is how a user works with an object. Accessibility is if a user can interact with an object (screen readers for visually impaired people for example). Let’s think of website design from another angle… Instead of designing how a website should look… What about designing how a website should navigate. How are the users going to get from the home-page, to the order-form. What types of navigation are available and how are they presented. What elements on the site show a user where they are and how to get where they are going? Search engine optimization is another factor a savvy web-designer might want to be familiar with. 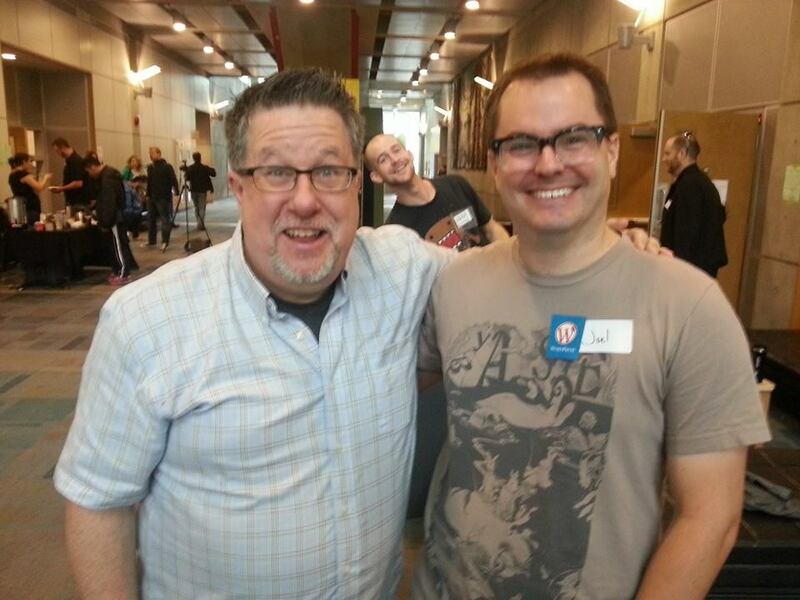 Special thanks to Steve Dotto @dottotech and Joel Friesen @joelfriesen for their help with the photo-bomb above! Web designers face the challenge of keeping the user tuned-in enough to get around the site & tuned-out enough to stay on the site. Users should have an easy time staying on the site and finding what they want. If you make it hard for users to find what they want, they will leave. Poor site-structure, load-times, even aesthetics are all reasons users might leave your site. 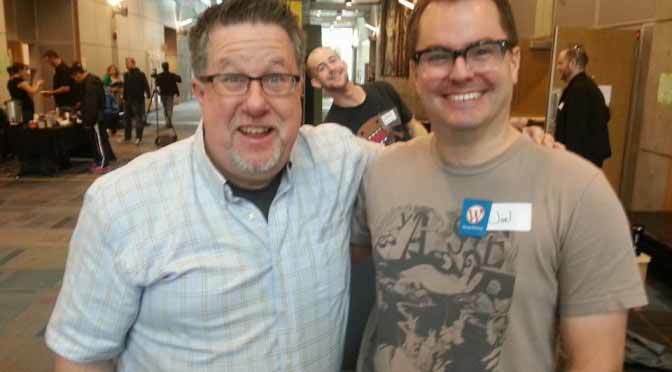 Web Developers are a type of software-developer. Web-software requires a special environment to run (as if a computer wasn’t a special enough environment). Web-software requires two computers to run… One computer acts as the server and the other computer is the client. Web software runs (does it’s software-thing) on the server-computer & the client-computer & everywhere in between. Don’t think of a web-site as a collection of web-pages. Think of the web-site as the location of the web-software/app. A web-page can be as simple as saving a file with a .html file-extension and opening it with a web-browser *(try this in notepad on windows, or text-wrangler if your on a mac) A web-site can span over many pages, many files, database, even web-servers. Web developers are concerned with making the site / app work. Front end developers work with the user-facing side of the site. It’s not that they don’t do any back-end work. A web-sites front-end needs to get information from the back-end in order to process & present it. Front-end developers often build the parts of the site which run on the client-side of the client-server environment. Back end developers build the server-software that act as the brain & backbone of the site; whereas the front-end developers build the eyes, mouth & face of the site. Back-end developers plan and maintain the databases / data-records which drive the sites output. Back end development work also involves connecting servers to one and other & managing the environment the website runs in. As much as these three disciplines are different they are all complimentary to one and other. Many graphic-designers work as web-designers and many web-designers also delve in to web-development. Web-developers tend to be terrible web-designers, as they work in code and can let technical-efficiency restrict their designs. In the end there are limitless combinations of skills out there and the different digital trades cross paths in all sorts of weird and wonderful ways. Hope this article sheds some light on what means what. Your provided information is very helpful for all blog readers. Graphic designer is a professional within the graphic design and graphic arts industry who assembles together images, typography, or motion graphics to create a piece of design. A graphic designer creates the graphics primarily for published, printed or electronic media, such as brochures and advertising.